Before we choose ANDROID ONE, please read carefully plus or minus from several point of view. This information will give more idea to choose why should we buy ANDROID ONE. What is Android One ? Please note ANDROID ONE is not brand, when the first time release, Android One has been release for group of Android smartphone which are introduce by Google with low price, so everyone can have good Android smartphone with average requirement by Google. This Android One project phone can develop by any brand at any country, but of course that company have to follow minimal requirement and follow specific rule by Google, so that phone can certified as Android One Family. Google always try to collaborate with several company, and with this way, many company will be happy to support and help to introduce Android and Google service at they advertising as well. This is not because disadvantage of Android One, but at the first concept of ANDROID ONE operating system before year 2017, Google create Android One concept only for specific country especially developing country like India, Bangladesh, Indonesia, Philippines and several more because at that developing country, many users can not buy good smartphone, therefore Google willing to give low price smartphone which can be reach for all users at that country. We can said that there are many poor people who can not buy high end smartphone. Previously maybe they can bought low price smartphone, but usually the specifications are very low and get some disadvantage while using that phone. 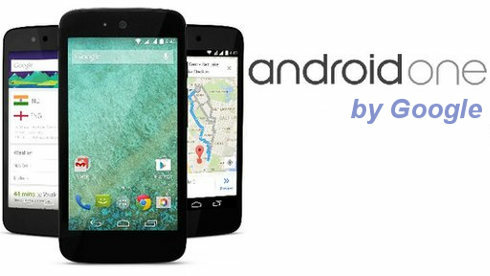 That is why Google create low-cost Android smartphone, Android One with average capability. But now, start at year 2017. ANDROID ONE become more powerful then before. Google start to improve smartphone performance who want to use pure ANDROID ONE operating system. Please read more about improvement of new ANDROID ONE pros and cons information. What Are Advantages or Disadvantages of ANDROID ONE ? To join ANDROID ONE project, all brand should follow specific rule for their specification, and Google force every company to make the same spec like Processor core and speed, RAM, storage size, LCD screen width and resolutions, and camera. With this rule, of course all users who buy whatever brand of ANDROID ONE will get same experience and with same low price smartphone. But above information become more easy to adopt by many company, because start at 2017 ANDROID ONE policy are not only for low end smartphone anymore. Many company release mid-end smartphone to make sufficient by Google policy. Start with Xiaomi Mi A1 with as first mid-end ANDROID ONE smartphone which have good camera and big internal memory and RAM. Next company also follow to become ANDROID ONE family such as HTC, LG, Motorola, Nokia, Infinix, Sharp, General Mobile and some other more. Now ANDROID ONE OS become advantages for Android users, some people love to wait for new release of ANDROID ONE smartphone product for each brand, because ANDROID ONE is pure Android operating system without any bloatware or any other 3th party applications. It mean that we can have more storage to install only important applications from Google Play Store. So What are Drawbacks of ANDROID ONE ? We still continue to give advantage or benefit to buy ANDROID ONE. Why? Because this project is prioritized by Google. Google committed to design and oversee Android operating system for ANDROID ONE, like Nexus family, Google already said that all ANDROID ONE smartphone from any brand will get first Android update for their operating system if Google release Android new version, and this is very important for smartphone users because not all Android smartphone outside ANDROID ONE get this privilege. When the first time ANDROID ONE introduce at market, this phone OS use Android Lollipop 5.1. and each phone will get at least twice major firmware upgrade for each smartphone. Pros and Cons ANDROID ONE Camera ? When the first time release in the market, Android One smartphone have standard camera that we can not expect too much. But now, start from first update of Android One from Xioami Mi A1 at 2017, we can get better camera if compare with high end smartphone. There are some phone that have more then single camera lens and also equip with AI (artificial intelligent). Therefore we should choose the best camera base by budget we have at ANDROID ONE smartphone. Should I Buy ANDROID ONE with all Advantage and Disadvantage ? We can said that having Android One family smartphone is value of money and worth to buy, because we already know the specifications hardware and operating system are follow Google standardization. But maybe some users have bad experience with Android One, mostly this trouble because of defect product and we should complain to authorize service center base by each brand. Base by update information start from 2017, 2019 and later, we can now choose good performance of smartphone which use pure Google Android One operating system with some pros and cons if compare with some other brand Android user interface. We can choose to have cheap price until expensive price Android One smartphone. This article is talking about Disadvantages of android one, android one pros and cons, advantage of android one, pros and cons of android one, android one cons, Android one benefits, disadvantage of android one, advantages of android one, Android one good or bad, what is the advantage of android one?. You can find other topic at our related post bellow. How long would Google provide OS updates to Android One phones?